Have you ever been running late to class, wishing there were some way to quickly check your assignments on Blackboard? Now you can — and all you need is a smartphone with a data plan. Students and teachers can instantly access courses, content and communities anywhere via NIU’s Blackboard Mobile Learn app. To access the mobile Blackboard app, first download it from one of the locations listed below. After launching the app on your device, search for “Northern Illinois University” and enter your NIU AccountID/password to securely log in. Once signed on, you can begin accessing the Blackboard courses for which you are currently enrolled in. 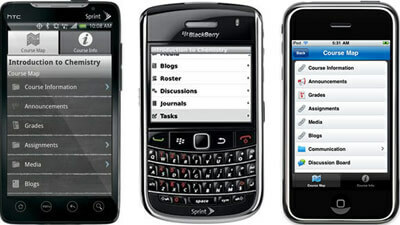 For some basic tutorials on how to use the app, visit the Blackboard Mobile Learn overview site. Users also can find app feature demonstrations and a list of limitations for the mobile version of Blackboard. Check back for updates and information on apps for other platforms.